Premier Foods, the owner of Ambrosia, Bisto, Mr Kipling and Oxo, plans to increase its annual marketing spend by a "double-digit percentage", after posting a marginal 2% increase in annual sales of its core brands to £543.5m, and a 12.3% fall in trading profit. Chief executive Gavin Darby said that, while consumer marketing investment was "slightly lower than the prior year", 2013 featured the launch of some "successful advertising campaigns with improved buying efficiency". As a result, Darby said it would "increase marketing investment by double digit % year on year". The group's annual results showed that profit before tax grew 61% to £86.8m, trading profit was down 12.3% to £139.5m, but, after discounting the impacts of disposed businesses over the year, trading profit was up 18% to £145.2m. Looking ahead, the group said it would continue to invest in innovation, citing brand extensions such as Ambrosia Devon Cream and Oxo Shake & Flavour. Darby said: "Over the past two years, we’ve stepped up our marketing to support this innovation and remind consumers about how great our products taste. "Ambrosia custard was back on TV for the first time in a decade in 2013 and Batchelors was advertised on TV for the first time in five years. We have also been investing in other ways to advertise and promote our brands through digital channels and creative partnerships." The company also revealed a £1.1bn refinancing plan, which will see it aim to raise £353m through the placement of new shares and a rights issue. The moves are designed to reduce Premier’s £513.m in net debts and £603m pensions deficit. As part of its turnaround plan, Premier sold a 51% stake in its Hovis brand to private equity firm The Gores Group in January. 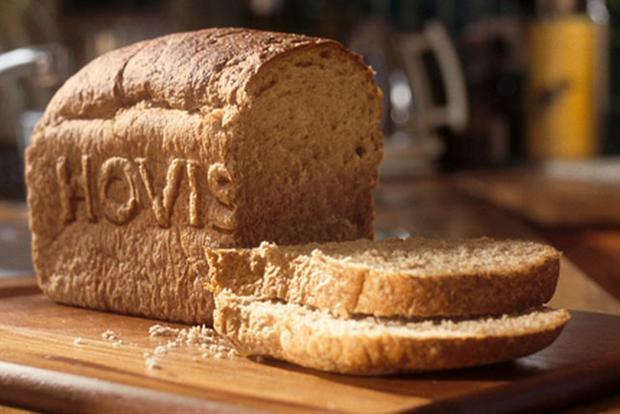 Can selling off 124-year-old Hovis stem the brand's decline?